2016 marks a year of significant transition for ITS. Dr. Erik Bohlin, ITS Chair since 2004, elected not to pursue another term in office after having completed 12 years of service in that position. He was the longest serving Chair in ITS history. (See accompanying article in this issue of Interconnect). The new incoming Chair of ITS is Stephen Schmidt (Canada). He was elected to a four-year term of office at the June 26, 2016 ITS Board meeting in Taiwan held immediately prior to the start of the 21st ITS Biennial Conference in Taipei. He was also re-elected to a six-year term on the Board. Mr. Schmidt has been a member of the Board of Directors since 2004, and ITS Vice-Chair since 2012. Two new Vice-Chairs were also elected at the ITS Board meeting in Taipei – Dr. Hitoshi Mitomo (Japan) and Dr. Jason Whalley (UK). 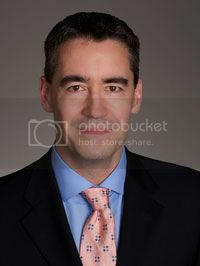 Stephen Schmidt is Vice-President, Telecom Policy & Chief Regulatory Legal Counsel at TELUS Communications, a major Canadian provider of wireline, wireless, internet and television services. Mr. Schmidt is based in Ottawa, Canada, and leads a multi-disciplinary team of professionals responsible for (i) making policy and legal submissions to the Canadian Radio-television and Telecommunications Commission (CRTC), Industry Canada, the Competition Bureau, the Federal Cabinet and other government bodies; (ii) conducting and directing appellate advocacy before the Federal Courts and the Supreme Court of Canada; and (iii) advising on compliance with public law frameworks for telecommunications, both in Canada and internationally. Prior to joining TELUS, Mr. Schmidt worked at AT&T Canada and ACC Tel Enterprises, with a focus on regulatory and legal matters, respectively. TELUS has been a Global Corporate member of ITS for over 20 years, and Mr. Schmidt has served as its representative on the ITS Board for the past 12 years. Mr. Schmidt holds a Bachelor of Arts (with Distinction) from the University of Toronto and a Bachelor of Laws from the University of Manitoba. His publications on communications law and policy have appeared in Info, Canadian Business Law Journal, Telecommunications Policy, and International Telecommunications Law (Juris Publishing). Mr. Schmidt has been a member of the Marketing and Promotions Committee since 2004, has served as Chair of the Web Development Committee since 2006, and was one of the two principal organizers of the 17th ITS Biennial Conference held in Montreal in 2008. Mr. Schmidt has a deep and abiding interest in ideas and other cultures – with history books being a primary medium for engaging with and understanding those cultures. Too curious to read just one book at a time, Mr. Schmidt confesses to reading more than a dozen books at a time, in parallel. The current focus of his reading is on Asian and European history. ITS is delighted to welcome Mr. Schmidt as the incoming Chair of our organization, and looks forward to a very productive and successful term of office for him. Dr. Hitoshi Mitomo was elected to the position of ITS Vice-Chair at the June 26, 2016 ITS Board meeting in Taipei, Taiwan. He brings a wealth of prior ITS and independent academic experience and expertise to this executive office. Dr. Mitomo is Professor of Telecommunications Economics and Policy at the Graduate School of Asia-Pacific Studies (GSAPS) and Director of the Institute for Digital Society (IDS), both at Waseda University, Japan. Dr. Mitomo is also President, Japan Society of Info-Communication Research and is a member of the Telecommunications Council of Japan’s Ministry of Internal Affairs and Communications (MIC). 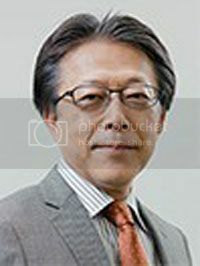 He is a Board member of the Japan Society of Public Utility Economics and Japan Section of Regional Science Association International as well as a Past President of the Japan Association of IT Healthcare. Professor Mitomo holds a Master’s degree in Environment Science and a Doctorate in Engineering. Professor Mitomo has been an ITS Board member since 2006 and has served on the ITS Conference and Seminars Committee for 10 years, the past four as Committee Chair. He was also Co-Chair of the Organizing Committee for the 2010 ITS Biennial Conference in Tokyo, a member of the Conference Program Committee, Chief of the Conference Secretariat, and a member of the Organizing Committee of the 27th Annual Conference of the Japan Society of Information and Communication Research which was held in association with the Tokyo Biennial. Professor Mitomo has served on the Editorial Board of Telecommunications Policy, the ITS journal, since 2009. Professor Mitomo’s research spans a wide range of socio-economic and regulatory issues related to ICT deployment and utilization. His current research focuses on the social and economic impacts of ICT. He is also interested in microeconomic analysis of telecommunications as well as the behavioral economics approach to media access and the usage of ICT in disasters. While serving as a member of the Telecommunications Council of Japan’s Ministry of Internal Affairs and Communications, he has been involved in various aspects of ICT policy development including mobile number portability, universal service, ICT development and utilization in rural areas, digital divide, economic impact of digital terrestrial broadcasting, ICT in education, spectrum auctions, the development of IoT and AI, as well as many other issues. Professor Mitomo has published several monographs and over 65 refereed papers in leading journals in both English and Japanese and is regularly invited to speak at academic conferences and seminars around the world. He also recently co-edited The Smart Revolution Towards the Sustainable Digital Society Beyond the Era of Convergence, Edward Elgar, 2015, with Hidenori Fuke and Erik Bohlin. When he is not at university and preoccupied with other business and academic activities, he enjoys spending time with his family, or occasionally doing some yoga or a bit of gardening. He also has a passion for scuba diving and taking in tropical seascapes. A recurring dream is to use the power of ICT to deliver his lectures to students back home while he luxuriates on a remote beach with a beautiful sunset in the background! Dr. Jason Whalley was first elected to the ITS Board in 2012. However, he was a very active member of ITS for a number of years prior to that, in particular, serving on the program committees of numerous ITS Conferences starting in 1999 and on the organizing committees of several ITS Conferences since 2009. Dr. Whalley’s involvement in ITS Conferences has, if anything, only intensified over the years. To this day, he remains one of the principal organizers of all European Regional ITS Conferences. He also continues to serve as the Book Reviews Editor for Telecommunications Policy. 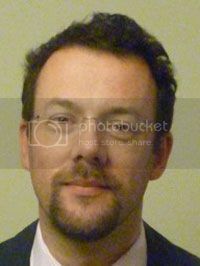 He currently holds the position of Professor, Newcastle Business School, Northumbria University, Newcastle upon Tyne, UK. Professor Whalley’s research focuses on the telecommunications industry. There are two broad themes to his research. The first focuses on the structure of telecommunications markets – both fixed and mobile, in developed and developing countries alike — and how these markets have been affected by technological change, competition, internationalization and regulatory intervention. The second theme explores the socio-economic impact of telecommunications. He has also investigated the development of regulatory regimes in emerging markets and the impact in the UK of not having access to broadband. Professor Whalley has worked with a number of regulatory bodies and telecommunications companies, exploring how regulatory regimes develop and how organizations exploit technological change. Dr. Whalley is an avid researcher and prolific writer. He has authored or co-authored five scholarly texts, several book chapters, scores of book reviews, numerous scientific articles for publication in refereed journals, dozens of conference papers and numerous other works. When not hard at work, Professor Whalley enjoys reading Scandinavian and Scottish crime novels, as well as science fiction. The ITS Board is pleased to announce that it has approved a proposal from several leading Korean academic and scientific institutions and associations to host the 2018 ITS Biennial Conference in Seoul, Korea, June 24-27, 2018. ITS last visited Seoul in 2002 for the 15th ITS Biennial Conference. Much has changed since then. According to a 2015 report of the International Telecommunication Union (ITU), South Korea is now the most connected country in the world. Home to Samsung and LG, two of the world’s largest and most successful high tech companies, South Korea boasts the highest average internet connection speed in the world and the 4th highest penetration rate for smartphones. The theme of the 22nd ITS Biennial Conference will be Beyond the Boundaries: Challenges for Business, Policy and Society. The Call for Papers (CFP) for the Seoul Biennial will be issued in July 2017. The Conference web site is expected to be operational at that time as well. Further details on this Conference will be disseminated to all ITS members via the ITS-L Listserv and the ITS web site at www.itsworld.org once they become available. Additional coverage will also be provided in future issues of Interconnect. The Conference will be hosted by the School of Media & Communication, Korea University; Korea University Research Institute for Information & Culture (KU RIIC); and the Korean Association for Information Society (KAIS). The main venue for the Conference will be the Korea University Media Building or Media Hall. The Conference itself will begin with a welcome reception for all attendees on the evening of June 24, 2018. Conference sessions will then run continuously for the next two and a half days. They will include Keynote addresses on Day 1 and Day 2, three plenary sessions, and seven sets of parallel sessions. Tea breaks, lunches and dinners will be provided on all three days of the Conference, including the main Conference banquet at the end of Day 1, and a special buffet dinner at the Season’s Table at the landmark N Seoul Tower in Namsan, followed by a Han River Cruise on Day 2. The dinner on Day 3 will be at the Sanneri Korean Restaurant on Seoul’s renowned Insa-dong Street. (“Sanneri” means “a small village in a mountain”). It will be followed by a tour of the Gangbuk area of Seoul. Individuals interested in attending this Conference may wish to add a few extra days to their Korea visit as there is much to see and do in Seoul and nearby areas (including the DMZ or Demilitarized Zone in the north and beautiful Jeju Island in the Korea Strait at the southern end of the country). A city of some 12 million people, Seoul is the financial, commercial, political and cultural capital of Korea. Although more than 600 years old, Seoul has managed to preserve much of its traditional architecture while simultaneously showcasing some of the most modern and dazzling buildings in the world. Like other metropolises, it is a city that never sleeps and hosts some of the most interesting day and night markets in the world. It also offers visitors and residents alike one of the most modern and efficient municipal transportation systems in existence. For travellers wedded to their smartphones, tablets and/or personal computers, please note that Seoul is expected to extend free WiFi accessibility to all public spaces and modes of transportation by 2017, well in advance of the 2018 Biennial. Please be sure to add Seoul and the 22nd ITS Biennial Conference to your calendar for the last week of June 2018. 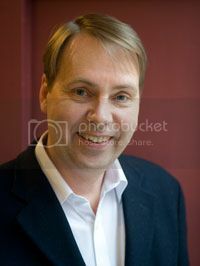 Erik Bohlin was first elected to the ITS Board in 1994. He was appointed Chair of the Publications Committee in 1998 and served in that position until 2004. He became Vice-Chair in 2002 and, at the 2004 ITS Biennial Conference and 15th European Regional ITS Conference (which were held jointly in Berlin that year), was elected ITS Chair, a position he dutifully served in for the next 12 years. Dr. Bohlin remained steadfast in this vision of ITS as a truly global scientific society comprising dedicated ICT professionals from industry, government and academia whose mission it is to conduct research of the highest calibre, openly share and discuss research findings and policy recommendations, and work collaboratively to develop innovative policy solutions to the critical issues confronting the telecommunications industry in both developed and developing economies. His many accomplishments during his tenure as ITS Chair amply demonstrate his dedication to this vision. Over the past 12 years, Dr. Bohlin helped to organize and/or participated in more than 30 ITS Conferences on six continents. A great many of those Conferences were held in countries and regions that ITS had never been to before including the Caribbean (Jamaica), Africa (Ghana), Eastern Europe (Hungary), Asia Minor (Turkey), the Middle East (Bahrain), China, India, Thailand, New Zealand, Taiwan, and Brazil (among others). Mirroring this vast expansion in the geographical reach and scope of ITS activities was a corresponding expansion in the geographic representation of ITS membership (including membership on the Board of Directors). One of Dr. Bohlin’s most important achievements as ITS Chair was the creation of a forum in which graduate students with a strong interest in ICT could present and discuss their research with leading academics and industry experts in a highly focused learning environment. Nearly a dozen ITS Ph.D. seminars, involving over 70 graduate students, have now been held in conjunction with major ITS Conferences around the world over the past seven years. The two principal organizers of these Ph.D. Seminars have been Dr. Bohlin and fellow ITS Board member, Dr. Brigitte Preissl. In January 2010, Telecommunications Policy (an Elsevier publication) became the official membership journal of ITS. Dr. Bohlin became the Editor-in-Chief of the journal in 2009 and continues to serve in that position. Among his other initiatives was a concerted effort to expand ITS corporate membership (including government agencies and non-profit institutions). Dr. Bohlin’s efforts have also borne much fruit in this area. Corporate membership presently stands at 20, and includes corporations/institutions from 12 different countries spanning four continents. Dr. Bohlin also oversaw the successful transition of the ITS-L Listserv from San Jose State University to A2 Hosting, a major ITS web site redesign including the addition of online membership payment capability, and the formation of a number of co-marketing arrangements with major international academic, scientific and research associations and institutions. Dr. Bohlin leaves our organization on a sound financial footing, with a strong, diverse and highly skilled Board, and a very capable new leadership team in place. Dr. Bohlin will remain on the ITS Board in his capacity as immediate past-Chair. We congratulate Dr. Bohlin on his many accomplishments as ITS Chair, extend to him our deepest gratitude for his tireless work on behalf of our organization, and wish him every success in his ongoing academic career. I am deeply honoured and very grateful to have been elected to serve as ITS Chair for the next four years. At the same time, I am very much humbled by the shoes I have been asked to fill. My predecessor, Dr. Erik Bohlin, was not only the longest serving Chair in ITS history but is, without question, one of the most energetic and hard-working Board members and leaders this organization has ever known. Over the course of his 12 years as ITS Chair (and 10 years on the Board prior to that, including 6 years as Chair of the Publications Committee and 2 years as ITS Vice Chair), Dr. Bohlin travelled hundreds of thousands of kilometres, visited more cities and countries, on more continents, for the purpose of helping to organize, participate in, and deliver the opening and closing addresses at more ITS Conferences (not to mention his participation in scores of other conferences, symposia, seminars and similar gatherings of partner organizations), than any other Board member in the 30 year history of our organization. He became, in a very real sense, the human face of our organization, across the globe. Dr. Bohlin, together with Dr. Brigitte Preissl, was also the principal organizer of 11 ITS Ph.D. Seminars over the past 7 years and, since January 2009, has served as Editor-in-Chief of Telecommunications Policy, the ITS membership journal. (A more detailed overview of Dr. Bohlin’s many accomplishments as ITS Chair is provided in an accompanying article in the current (September 2016) issue of Interconnect). We owe an enormous debt of gratitude to Dr. Bohlin for his more than two decades of committed service to ITS in various capacities. It goes without saying that we are delighted that Dr. Bohlin will remain on the ITS Board and will continue as Editor-in-Chief of Telecommunications Policy (in both cases, we hope, for many more years to come). I also wish to congratulate Drs. Hitoshi Mitomo and Jason Whalley on having been elected the new Vice-Chairs of our organization. Both are long time Board members, with a record of dedicated service to ITS, as well as highly accomplished academics in their own right. (Please see the accompanying bios for each of them in the September 2016 issue of Interconnect). I very much look forward to working closely with each of them, and to relying on their many years of experience in the ICT industry generally, and within ITS in particular, as we chart the future course for, and evolution of, our organization. It is equally my pleasure to report that the Board in Taipei re-elected the following incumbents to the remaining officer positions: Bronwyn Howell (Secretary), Leland Schmidt (Treasurer) and Christian Dippon (Assistant-Treasurer). All have diligently and expertly served ITS for many years. I have worked closely with each of them in the past and look forward to continued close collaboration with them in the years ahead. Board members who were re-elected to new six-year terms in Taipei include Johannes Bauer, Stanford Levin, Patricia Longstaff, Karl-Heinz Neumann, Brigitte Preissl, Leland Schmidt, Masatsugu Tsuji and Vianney Hennes. Roberto Balmer, meanwhile, was elected to the Board of Directors for the first time. I extend my warmest greetings and congratulations to each returning Board member as well as to our newest Director, Dr. Roberto Balmer, who joins the Board as the representative of our newest International Corporate member, Microsoft Europe. The other very important news coming from the ITS Board meeting in Taipei is that, after considering two strong proposals for hosting the next ITS Biennial Conference (one from Europe and the other from Asia), the Board has selected Seoul, Korea to be the site of the 22nd ITS Biennial Conference, June 24-27, 2018. (Further details on the 2018 Seoul Biennial Conference can be found in the accompanying article in the September 2016 issue of Interconnect). I would like to extend our organization’s sincerest thanks and congratulations to ITS Board member, Dr. Yu-li Liu, and the entire local Organizing Committee (including the many generous Taiwan-based sponsors), for their hospitality, tireless efforts and organizational proficiency in hosting the 2016 ITS Biennial Conference in Taipei this past June. It was an exceptional event starting with the program itself, the range of interesting and timely subjects covered and the calibre of papers delivered, and extending to the many memorable social events and tourist excursions offered to all attendees. Taipei has added another wonderful chapter to our long and storied tradition of holding our premier events once every two years in a major world centre. All who attended will long and fondly remember the Taipei Biennial. Finally, I would like to take this opportunity, my first in addressing the entire ITS membership, to convey some sense of our path forward. The mission of ITS has been more or less constant, in substance, if not precise wording, since the founding of the Society in 1986, namely, to be a meeting place — a global forum – for the exchange of ideas, the presentation of research and the building of relationships, between government, academia and the private sector, in the area of communications policy. This dream, or strategic aspiration, of being a meeting place for a global dialogue on communications policy, is as relevant today as it was thirty years ago. Arguably, the world has finally caught up to our vision – to the idea and fact of a truly global conversation on telecommunications policy. Policy conversations on matters like privacy, broadband policy, and universal service are now global in scope. Our challenge in ITS is to remain relevant and valuable to those involved in this global policy dialogue. To do so, we need to be convening events (whether traditional conferences, workshops or alternative on-line formats) that are attractive to attendees and sponsors and make a positive contribution to participants in the global policy dialogue. An important step in this direction will be to ensure coverage of topics for the entire ICT value chain, and not only those involving traditional topics in telecommunications regulation. We need to ensure that participation in ITS events and ITS membership reflects all our major constituencies (academia, government, industry). We also need to re-imagine how we communicate with our members and stakeholders and the additional benefits we can bring them by harnessing internet tools, including social media, to increase the immediacy, frequency and scope of interactions between members on issues of importance to them. Finally, conference economics are an important matter for the Board to address. Our goal is to deliver high-quality and impactful events to our members and stakeholders. In many countries, sponsorship dollars are increasingly scarce. This requires us to re-think the design and cost model of our conferences to ensure a high-quality experience that is compatible with the funding and market realities we face. The challenges before us are, for the most part, challenges of execution. Our key task, then, is to confront the problems and opportunities before us with intelligence and purposeful action. I look forward to a future of ITS events that are global in reach, increasingly timely and interesting, well-attended, and sought out by and valuable to our key constituencies (academia, government, industry). Our Executive and Board would be delighted to receive any thoughts or suggestions members might have with respect to any of the above. Pending contemplated upgrades to our web site, please send any thoughts, ideas or comments you may have to the ITS Secretariat at secretariat@itsworld.org and they will be forwarded to the Board. In the meantime, I look forward to seeing as many of you as possible in the months and years ahead and to engaging you in discussions on the issues and subjects of greatest interest and concern to the telecommunications and broader ICT industry. The 14th ITS Asia-Pacific Conference will be held in Kyoto, Japan, June 24-27, 2017. 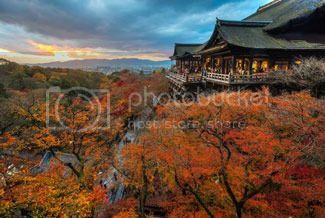 A city of some 1.5 million people, Kyoto served as the imperial capital of Japan for over 1000 years. The Call for Papers for this Conference will be issued early in the fall of 2016 and will be disseminated to all ITS members via the ITS-L Listserv. It will also be posted on the Kyoto Conference website at www.itskyoto2017.org. Additional coverage will also be provided in future issues of Interconnect. Please be sure to add the dates June 24-27, 2017 to your Conference calendar. The 14th ITS Asia-Pacific Conference promises to be an event ITS members won’t want to miss. ITS members wishing to attend this Conference are reminded that they will be eligible for reduced registration fees. Among the benefits of ITS membership is an automatic subscription to the ITS-L Listserv, an electronic distribution list that reaches 1400 academics, researchers, professionals, business consultants, industry practitioners, government policy-makers and members of regulatory agencies active in the information and communications industries. Please do not respond directly to ITS-L messages by pressing Reply or Reply All. This will engage the entire subscriber list in what should be a private communication. Instead, please respond directly to the personal e-mail address of the sender. If in doubt, please contact the Secretariat at secretariat@itsworld.org to inquire where a response to an ITS-L message should be sent. If your e-mail has been hacked, please notify the ITS Secretariat as soon as possible. Otherwise, your e-mail address could be used to spam the ITS-L. (Should this occur, the Secretariat has the ability to block all incoming ITS-L messages in order to screen them before they are distributed to subscribers). The ITS-L Listserv was launched in 2003. Since that time, the annual volume of traffic carried over the ITS-L has shown impressive and uninterrupted growth. It has clearly become a preferred means among ITS members of rapidly and broadly disseminating information of potential interest and value to professional colleagues, associates and collaborators around the globe. It goes without saying that ITS is delighted with this outcome and very much encourages continued — and expanded — use of, and reliance upon, the ITS-L by its members.